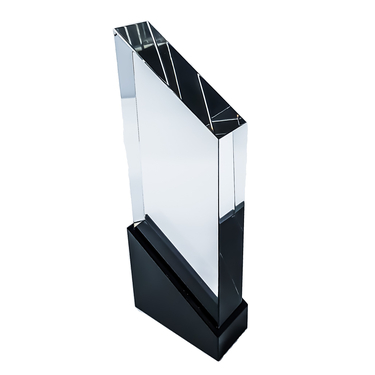 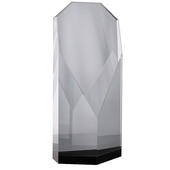 Elegant sloping design clear crystal award. 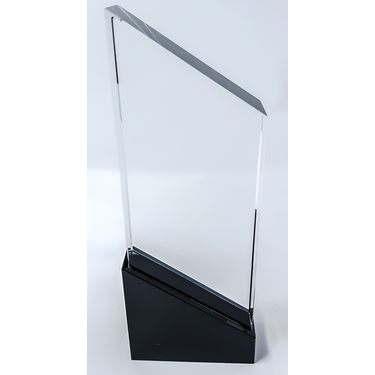 Perfect to add an personalised engraving. 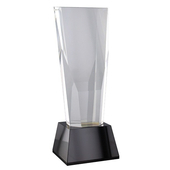 This award is suitable for any sporting or corporate event. The award is finished by being mounted on a black plinth and is supplied with a satin lined box.